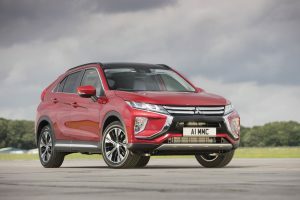 Mitsubishi Eclipse Cross review | News by Wales Express News, People Before Profit! THIS is shaping up to be a big year for Mitsubishi. The partnership with Renault-Nissan is signed and sealed and the new Eclipse Cross SUV is hitting the showrooms signalling the first of a new generation of cars from the Japanese company which reached its centenary last year. The alliance would seem to be the perfect marriage: Mitsubishi is big on all wheel drive – it built its first 4×4 in 1936 – and so is Nissan, and it has had huge success with the plug-in hybrid Outlander which dovetails nicely with Renault’s expertise in electric cars. So there is a real spring in the step of the UK team and they have every reason to feel good about the Eclipse. It is hitting the bustling SUV sector so plenty of good competition to think about but the package is very competitive with a decent spec list for the £21k entry model. Moreover it looks sharp, its designer prized away from Nissan and he has gone for the coupe look with a rising beltline and eye catching split glass tailgate. This split effect helps maintain reasonable back seat headroom even with the panoramic sunroof, not easy with a coupe like roofline, the only downside is rear vision which is compromised by the thick full width light bar but a camera is standard to help with awkward reversing. The competition is frightening, Nissan Qashqai, Peugeot 3008, Seat Ateca, Renault Kadjar etc, etc so Mitsubishi has delivered its ‘best ever’ interior for Eclipse Cross and it needed to be. Soft plastics are better than we have seen in the past and the horizontal layout – information above, operation below, works well with many functions sourced through a 7in touchsreen. But what do you make of this? There is no built in satellite navigation, instead Mitsubishi has taken a leap of faith relying on owners linking their smart phones to the command centre and using apps including Google Maps for directions. I used it on the UK launch driving route in the wilds of the Derbyshire Dales and it worked perfectly, even when the phone signal was dodgy, although it will take a bit of getting used to. It does mean that journeys can be programmed in the comfort of an arm chair long before setting off but I wonder what happens if you want to change the route in an area where the signal is lost? It is all based on the fact that more than 80 per cent of the UK population have a smart phone – but can we all use them well enough? Probably best to have a young brain on board at all times! Eclipse Sport is new from the ground up so the suspension is MacPerson struts at the front and a multi-link set up at the rear which gives the car a sporty feel, fairly flat through twists and turns with little body roll. There are two and four wheel drive options, the latter a comprehensive system with drive modes that automatically adapt to the road surface. Power comes from a 1.5 litre turbocharged petrol engine with an option of six speed manual or eight speed CVT automatic with paddle shifters and it is the auto where nearly 70 per cent of the initial sales have gone. It is quicker and cleaner than the manual and would be my choice as well. Eclipse Sport comes in three trim levels – 2,3 and 4 – with two-wheel drive manual and automatic, and automatic only for the four-wheel drive. The prediction is that the majority of buyers will go for levels 2 or three and all wheel drive. Level 2 (£21,275) is not short on kit if that is all the budget will stretch to but go up a grade (£22,575) and the goodies list stretches to heated front seats, front and rear parking sensors, keyless entry and start and head up display, a feature I think should be standard on all cars. 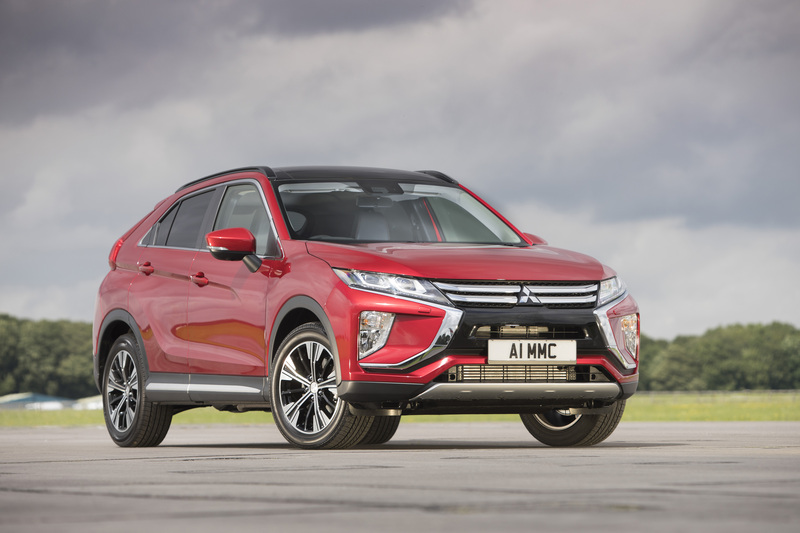 Eclipse Cross is the best Mitsubishi I have driven in nearly 40 years as a motoring writer and has been given a significant boost with a 48 per cent trade in value after three years. Will Eclipse Cross have rivals heading for the hills? Not with one engine option it won’t. Performance is one thing but so too is economy, particularly for towing, and that is what’s lacking. There are hints of a diesel engine at the end of the year. It can’t come soon enough.